My fingers still linger with a scent reminiscent of buttered popcorn and burnt caramel. I just finished dinner at the two month old Majestic Bay Seafood Restaurant. Just hours ago, I was sucking the crab legs dry, savouring the saccharine glaze of Chef Yong Bin Ngen's "Kopi" Crab 冠华咖啡焗肉蟹. Why haven't chefs come up with this sooner? The sweet, sticky glaze is made of three types of coffee beans, apple marmalade and plum sauce. 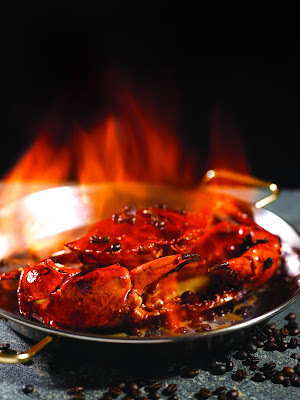 It is cooked with Sri Lankan mud crabs no larger than 1.4 kg (the ideal size, says chef), then flambéed tableside with coffee liquor. The concept of cooking with coffee isn't entirely new in Singapore -- there's barbecue coffee pork ribs found at most cze chars, allegedly made popular by Chef Sam Leong. Admittedly, the kopi sauce doesn't match the natural crab flavour with the same symphony as pork and coffee does, but there is still an addictive harmony that leaves you reaching for more. The best parts are the exposed meat ends, charred with a crunchy layer of caramel-sweetness. I'm always happy to see good new mud crab recipes come out in Singapore--god knows I'm tired of bringing visitors for chilli crab every month. I'm putting the kopi crab alongside my other Singapore crab favorites, curry crab, claypot crab beehoon, and salted egg crab. While you're here at Majestic Bay, be sure to try the mee sua with braised baby abalone 小小鲍鱼面线 ($24 for 2-4 pax, $36 for 5-8 pax). 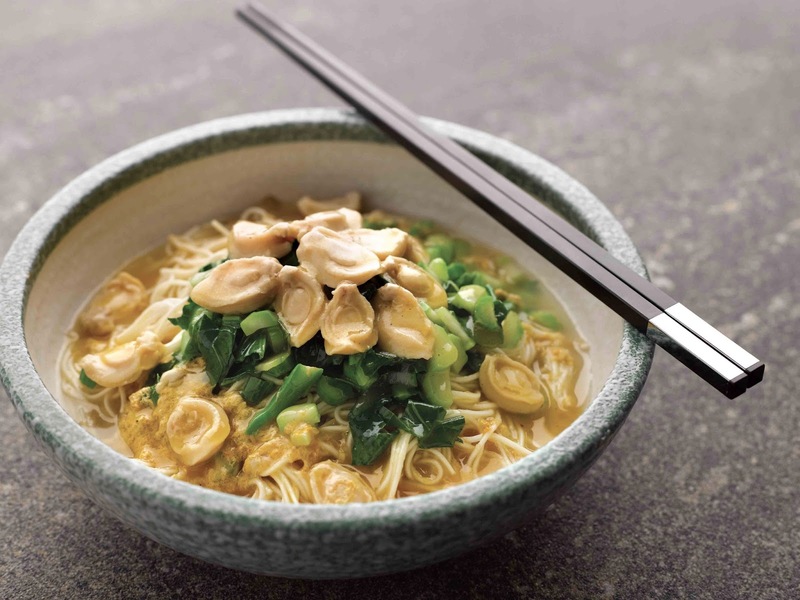 The broth is rich and creamy and the baby abalone is oh-so-soft. The restaurant is located in Singapore's new Gardens By the Bay. Majestic Bay Seafood Restaurant specializes in live seafood, Chinese cuisine with a focus on Cantonese dishes.